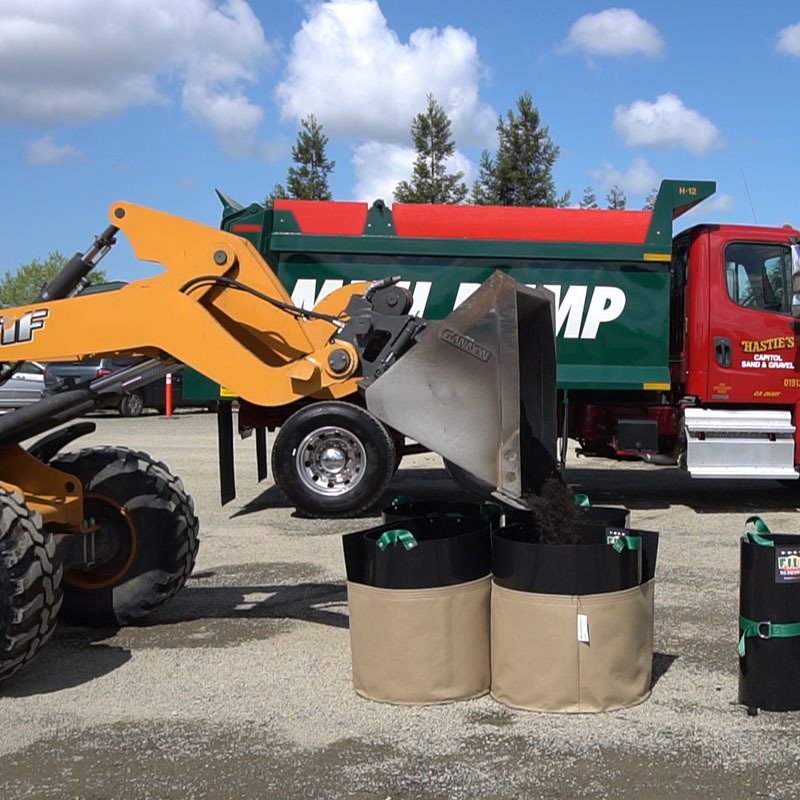 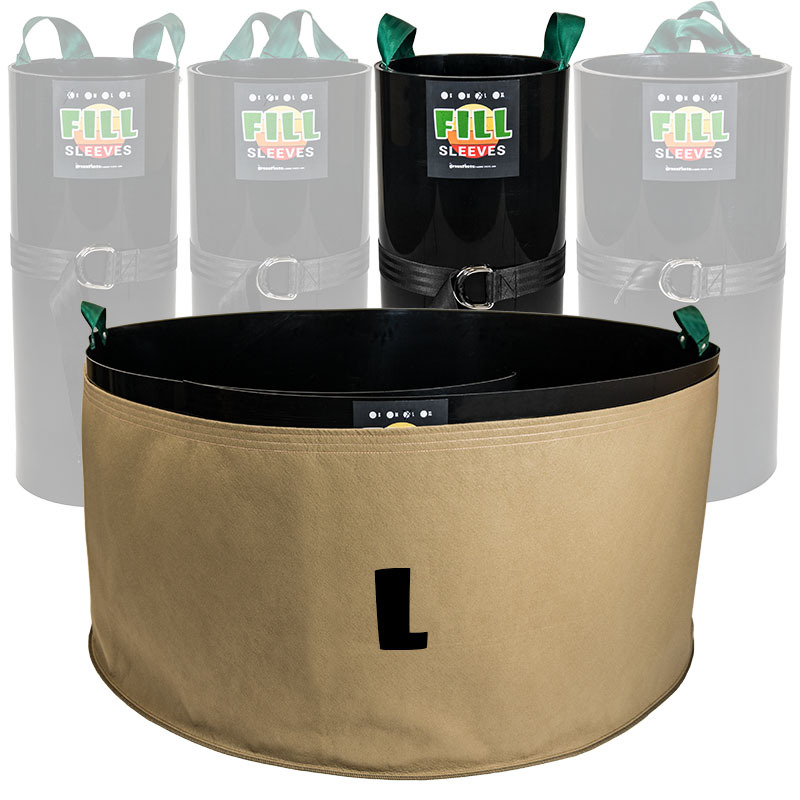 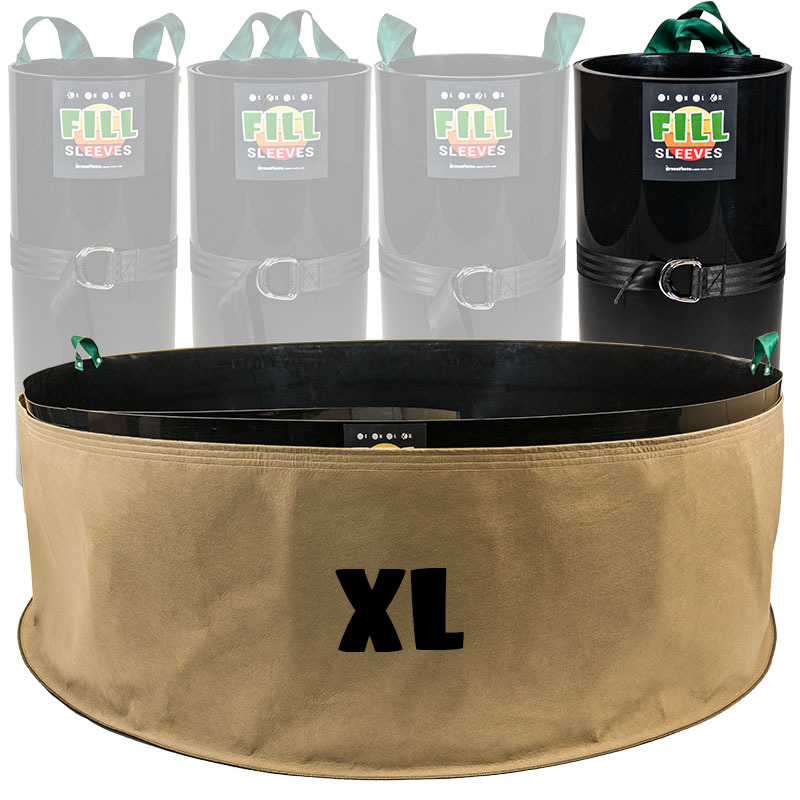 Fill Sleeves™ keep your fabric pots open while you are filling them with soil – helping you save time, effort, and labor! 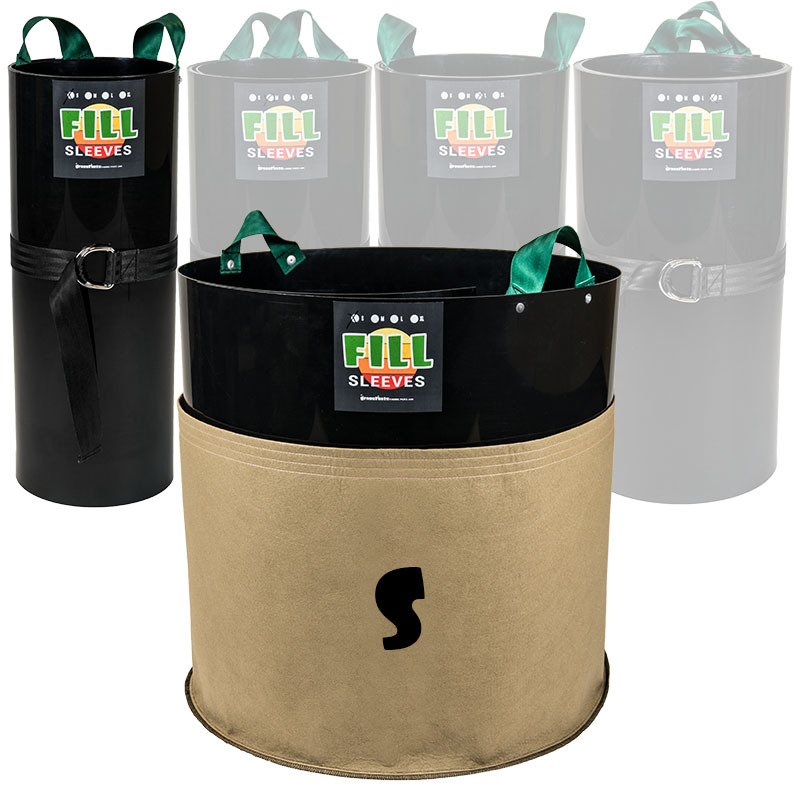 Our Fill Sleeves™ are made from thick black plastic that is totally chemically safe. 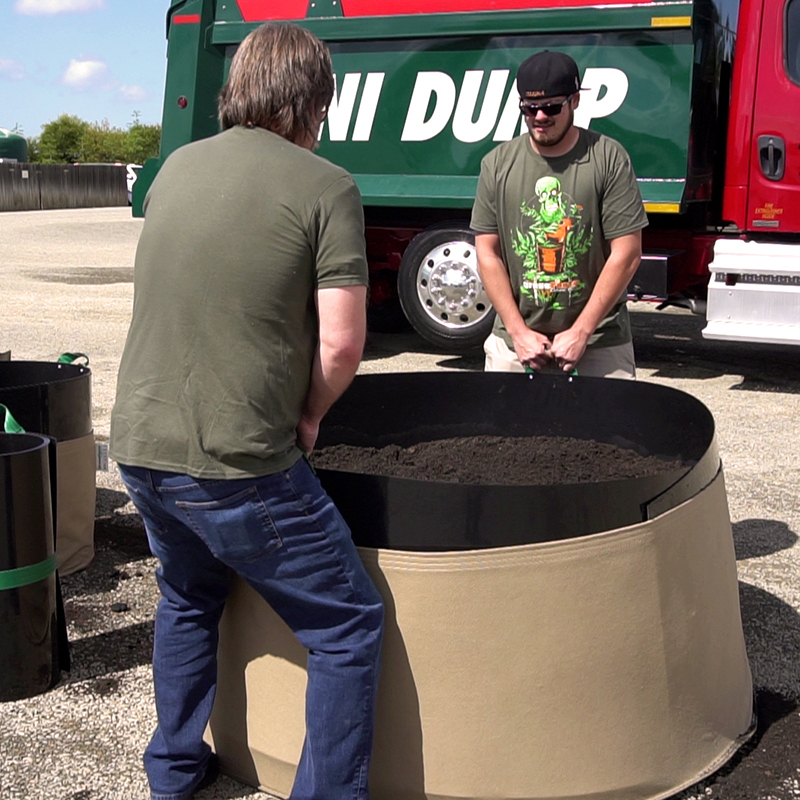 They have two handles to help move them in and out of pots. 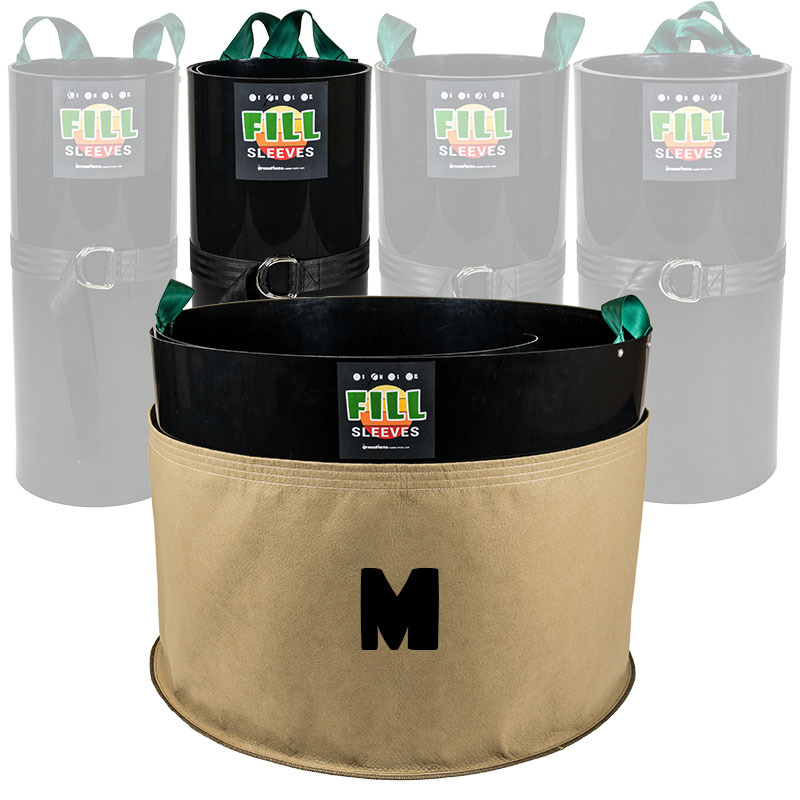 Handles are made with seat belt type material and are riveted to the plastic to keep them strong.